Eduacation Qua. : Matriculation from recognised Board. and, Industrial Pass Certificate in tbe specific Trade. 2. Senior Quality Assurance, Establishment ( Armts), Kolkata Recriutment - 02 post for Lower Division Clerk. How to Apply : By post, From Available nearest your book store. 3.Calcutta School of Tropical Medicine Recruitment- 04 Data entry for Operator, Lab Teachnician, etc. 4. 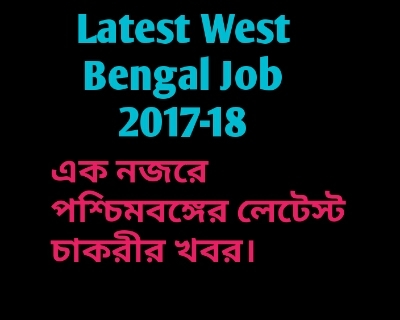 Block Devolpoment Office, Malda office of the Gram Panchayat Recruitment- 03 Gram Rojgar Sevak. 5. DHFWS Alipurduar Recruitment- 05 Accountant, Programme,Coordinator, Medical Office, STLS.